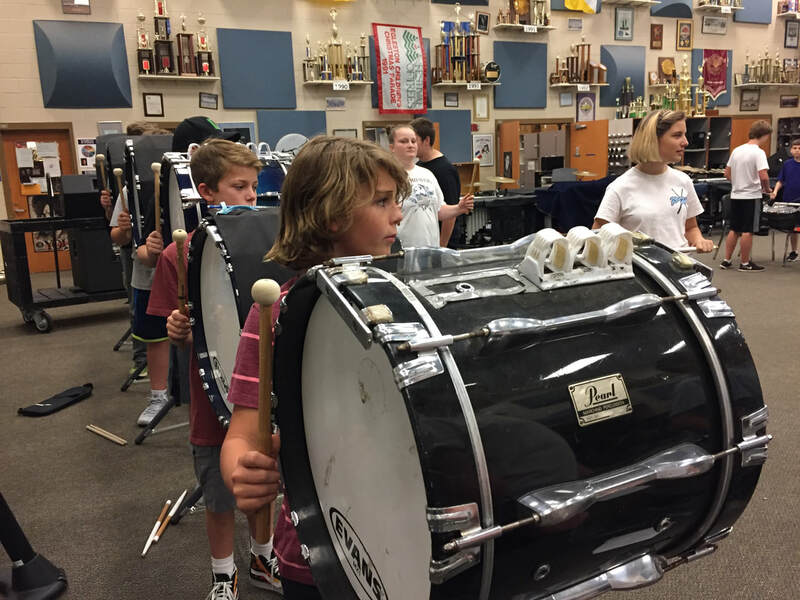 The Pope HS JV Drumline is open to ALL percussionists in grades 7 and 8, whether or not they will be attending Pope HS in the future. 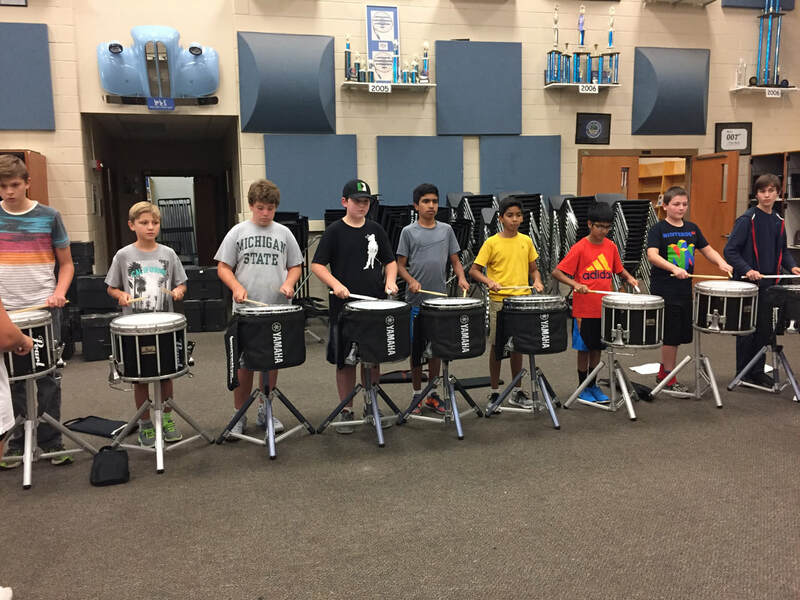 The PHS JV Drumline is free of charge and taught by the PHS percussion faculty and senior Pope HS percussion members. 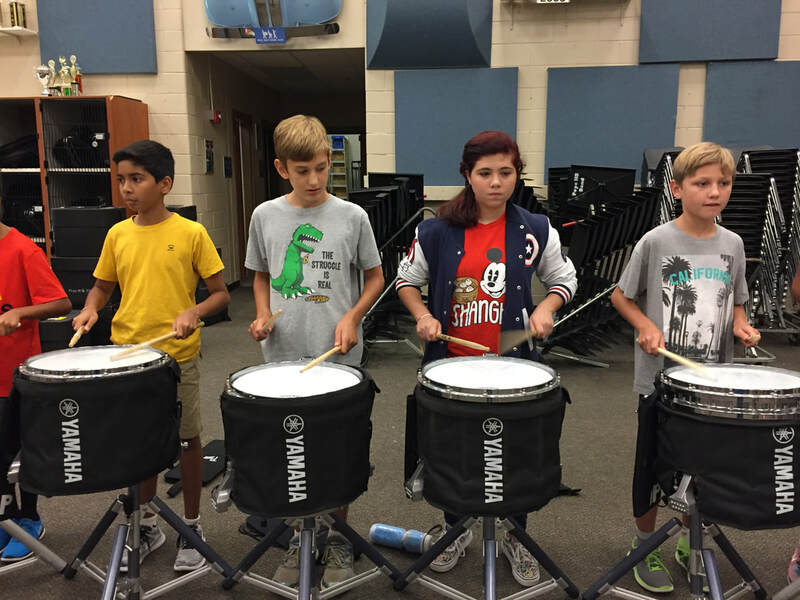 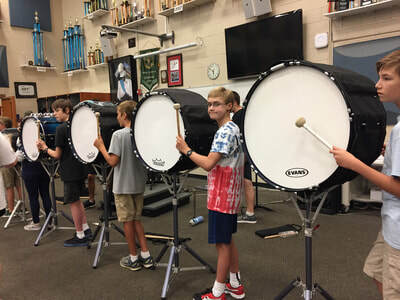 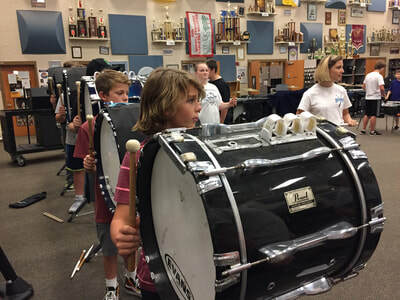 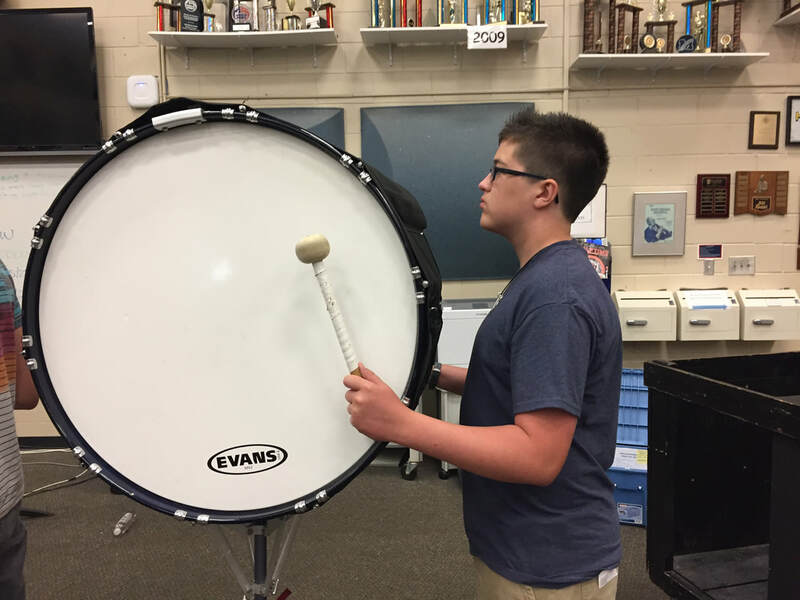 Interested middle school percussionists will meet once weekly for an hour in the Pope HS band room to learn marching percussion skills in a hands-on, low pressure environment. 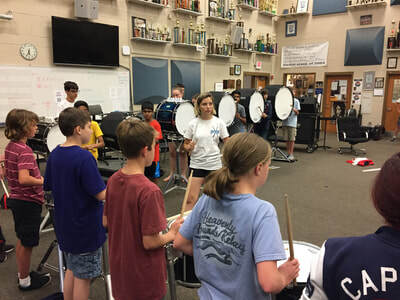 Members will learn techniques, drumming exercises, and a cadence. 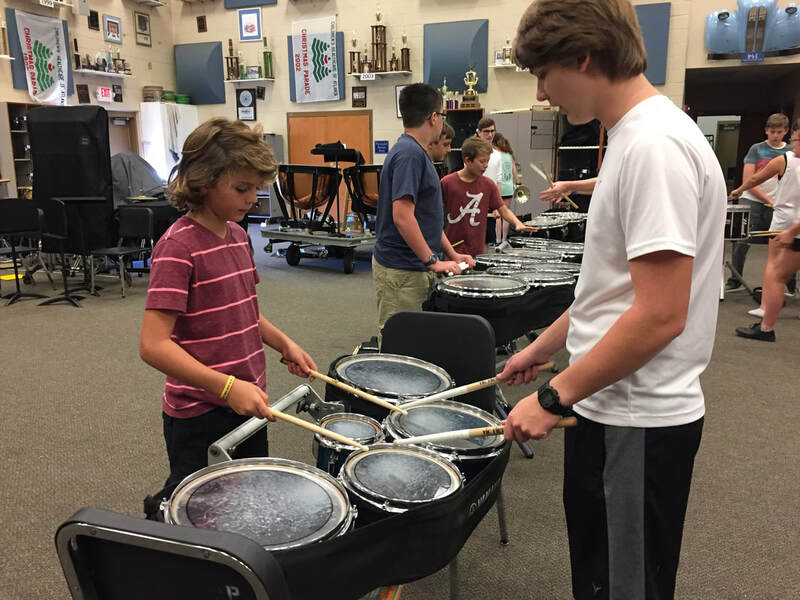 The JV drumline will perform during the football game against Alpharetta HS as a part of the '8th Grade Night' festivities at the Hound Pound on September 14th, 2018. August 21st / 5:00-6:00 p.m.
August 28th / 5:00-6:00 p.m.
September 4th / 5:00-6:00 p.m.
September 11th / 5:00-6:00 p.m.
September 14th / 5:00-6:00 p.m.
*Participants bring sticks and mallets to all rehearsals. 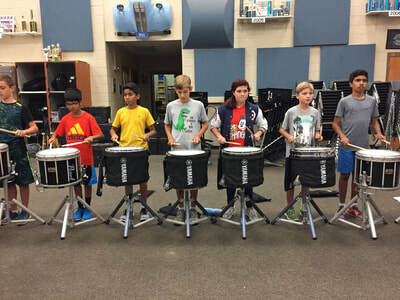 *Wear comfortable shoes and clothes. 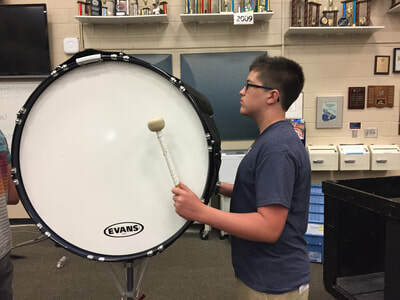 (kindred65@me.com) if you should have any questions!